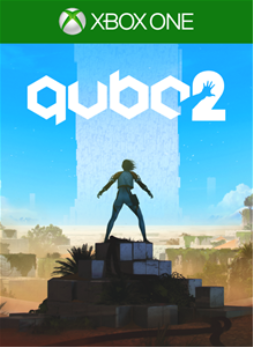 When the original Q.U.B.E. Director's Cut released, it was met with solid reviews without ever wowing anyone too much. 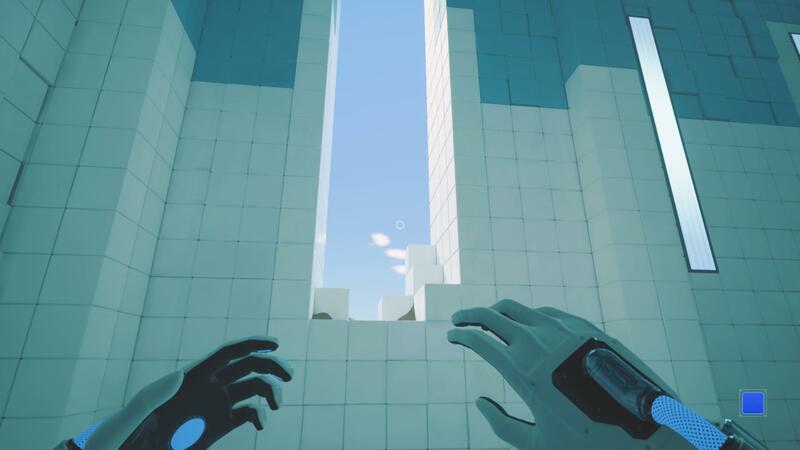 It was compared to Portal for the obvious reasons of being a first-person puzzler with a unique puzzling mechanic and managed to somewhat stand on its own two feet without living in Portal's shadow too much. 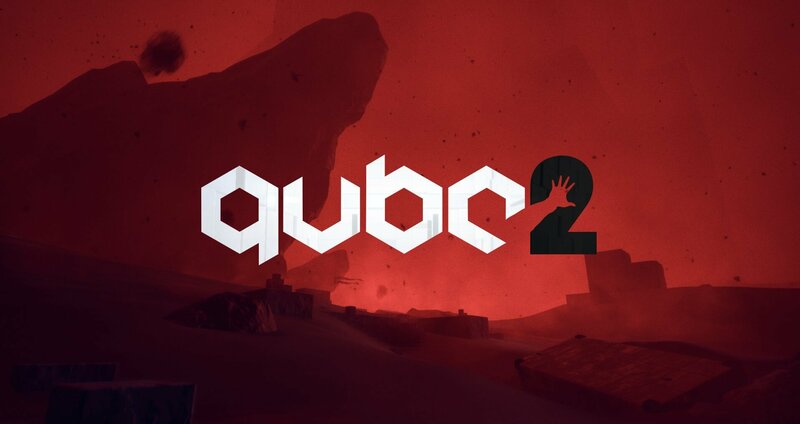 Skip forward a couple of years and we've now got Q.U.B.E. 2, which has improved on the original game in every way and feels even closer to Portal than the first game (in the best way possible). Q.U.B.E. 2- it's twice the fun! You are thrown straight into the story as the game begins, and this time around it feels more substantial. You play as Amelia Cross, and a prologue sees you struggling through a storm. You're at an unknown location on an unknown planet, neither you nor Amelia being sure exactly what is going on. After collapsing, Amelia wakes up in a strange facility with her only form of contact coming from Emma, another person somewhere in the vicinity who serves as a kind of guide. You learn early on that Amelia has amnesia, which means that all the new information you receive is new to her as well. This helps build a stronger connection with the story than the first game, and feels like the journey you are taking with Amelia is more meaningful. The story takes quite a dramatic turn about three-quarters of the way through and gears up for an ending that answers most of the questions you'll have about the facility and Emma. It's intriguing, which you don't often get with a puzzle game, and is well worth playing through to the end to find out the truth. 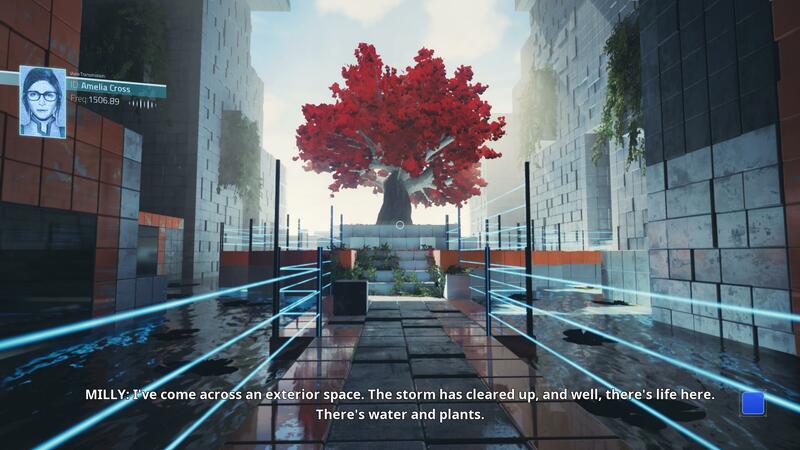 The facility you explore in this game is reminiscent of the original's, with the location made up largely of white blocks. This gives it the pristine clinical feel that makes Q.U.B.E. be likened to Portal, but unlike the first game, rather than have coloured blocks scattered about that you must manipulate, this time around you are given more power. Your gloves have the power to create blocks in certain places, and you must use these in order to progress through levels. 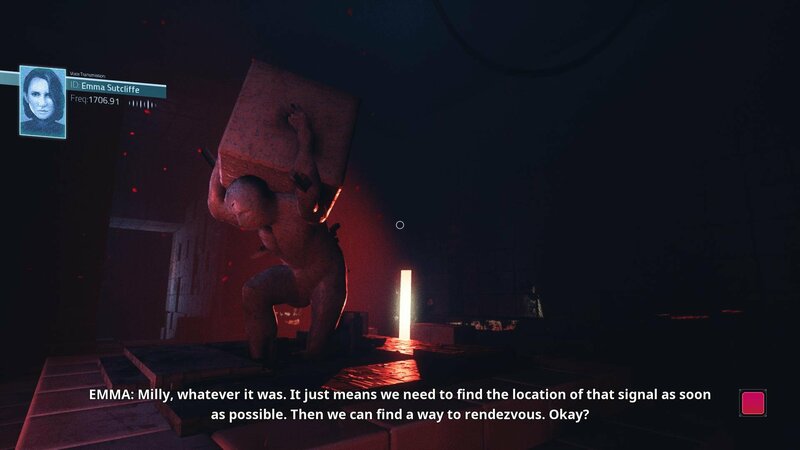 Not only does this widen the scope for more puzzles, but also ups the ante when it comes to difficulty too. You begin in the first chapter with only the basic ability to create cubes. The first one you can create is blue, and placing a blue marker on an available white space creates a spring you can use to bounce to a higher level or platform. This means you are eased into the puzzling mechanic quite slowly, which is nice for players unfamiliar with this kind of puzzling. As you progress through the facility to your end goal, you will upgrade your gloves and unlock new coloured blocks to create, including red blocks that extend and green blocks which create a physical cube you can stand on. Combining these three abilities and also the cubes themselves is the key to unlocking the path to the next room. The puzzle progression in the game moves along steadily, with you never feeling rushed or under pressure to figure out a puzzle. The difficulty of the puzzles themselves gradually increases without ever feeling impossible, though there will likely be puzzles that have you stumped until you ultimately figure out the answers that were staring you in the face the whole time. It offers a real sense of achievement when you finally figure out a tough puzzle. As things progress in the game, your aim changes slightly. You must power up machines and power switches in order to move to the next chapter, and this is where the game gets more elaborate. Where the first chapters pass you by quite quickly, you'll spend more time in and out of various rooms completing puzzles to power these machines, meaning the later chapters last quite a bit longer. This is welcome though, as the game offers a decent amount of playtime to complete without ever feeling like it is repetitive or overstaying its welcome. On top of the cube puzzle mechanics, you also have some other things to get to grips with. Later on in the game, you'll have to learn how rotating platforms can be used in your favour and also to navigate balls onto platforms to be used as weights on switches. Couple that with learning how oil and fire can help you progress and the intensity of the puzzling is really vamped up. It feels like a big improvement on the first game, taking some of the aspects from it and changing them in a way that makes the game more complicated without feeling out of reach is done well. Due to the white nature of the facility, the game can sometimes feel a little bit bare. Going from white room to white room with not a lot to distinguish between can feel a little disheartening at first, especially when some areas seem so dark you can't see which way you're meant to be heading. Luckily, the game throws in a gem every now and again, whether that's a blossoming tree in a garden or a mysterious reddened statue that seems to mean more than you might have first thought. Overall, the game looks and feels smoother than the first one, with less clunky movement and a somehow softer look much appreciated. Quite the view, but why is it here? The game's achievements offer a nice combination of simply doing what you need to do to complete the story, and a little of going out of the way. There's no hidden puzzles or secrets to find in this game, so simply passing through all your objectives and completing the puzzles will earn you a handful of achievements. The ending offers you a choice, and you'll have to pick each choice once in order to earn both achievements. With no chapter select, you face either rebooting your game after the achievement has popped or replaying everything again. Aside from this, the one annoying achievement comes in the form of To Infinity And Beyond simply because there seem to be no specific rules in what you do to earn it. The reviewer spent approximately 10 hours manouvering around various cube creations, unlocking all of the game's 15 achievements along the way. A download code for the game was provided by the publisher for the purpose of this review.